In the summer of 1923, Harold Schram Sr. was working for the Oakland Motor Car Company when he decided to start a recycling business. The operation was on a corner lot of Jessie and Auburn in Pontiac Michigan. 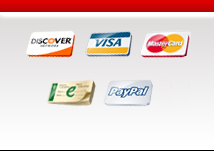 His primary business was the recovery of metals. However, it soon became apparent that reselling parts and components was his future. When World War II started, the government needed all the metal it could find for the war effort. Harold sold all of his vehicles and worked for the government, hauling military vehicles to the East Coast for shipment overseas. 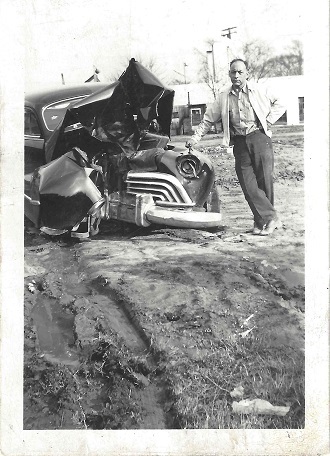 In 1946 he purchased a 7-acre parcel in Waterford Michigan, which is the current home of Schram Auto Parts - Waterford. In 1957, Harold Schram Jr. took over the business. In 1969, he built a 23,000 sq. foot warehouse and dismantling building. The new building consisted of 2 dismantling bays (with hoists), a shipping and receiving area, racks for seat, engines, transmissions, doors, and many other parts. In 1972, the Schram family decided to specialize in General Motors parts exclusively. Along with making Schram Auto Parts a leader in automotive recycling, Harold also took the time to become involved in the Automotive Recycler Association, which culminated in his presidency of the association in 1975. In the early 80's, the third generation of the Schram family took over the business. Under the leadership of Ken, Bob, and Tom Schram, the company has continued the goal of making Schram Auto Parts a leader in the Automotive Recycling industry. In 1989, Ken Schram completed over 15 years of service to both the Automotive Recyclers of Michigan (ARM) and the Automotive Recyclers Association (ARA), and became the second member of the Schram family to serve as president of ARA. Ken is currently a member of the board of directors of the ARA. Tom Schram has also served as Vice president of the ARM, and is on the Insurance Committee as well. 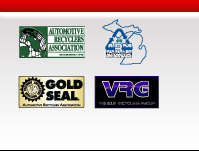 In 1993, Ken Schram was chosen by ARA to become involved in the Vehicle Recycling Partnership (VRP), a joint effort of General Motors, Ford, Chrysler, American Plastic Council, Aluminum Association, Institute of Scrap Recycling Industries, and the Automotive Recyclers Association. The partnership decided to form a group research facility and started the Vehicle Recycling Development Center, in which Ken was the program manager. In 1998, a new 14,000 sq foot warehouse and 7500 sq foot dismantling area was added to the existing facility. The result was 55,000 sq feet of ware house, 5 dismantling bays, and a state of the art fluid reclamation area. The facility became the largest exclusive GM late model recycled parts businesses in the World. 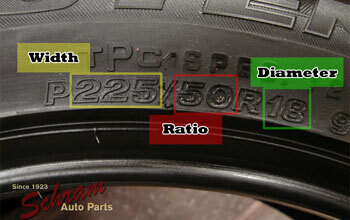 In 1999, the Schram family purchased Buds Auto Parts in Mason Michigan, a 20-acre site with a two-year-old, 16,000 sq. foot facility. 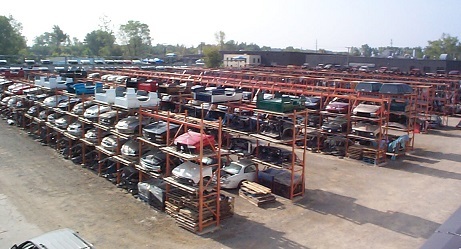 The site features two dismantling bays, a warehouse, shipping and receiving department, and recycles late model Ford, Chrysler, and GM vehicles. Now, with over 27 acres and 140,000 sq feet of warehouse space, Schram Auto Parts is becoming the most progressive dismantling and recycling facility in the world. With daily shipments across the country, and throughout the world, Schram Auto is ready to serve all of your late model domestic part needs.